Meat on a piece of sandwich bread. Deer meat, a versatile source of lean protein can be made into various dishes including steaks, roasts, jerky and sausage, such as deer bologna. Deer bologna is a cooked smoked sausage that contains ground deer meat mixed with bologna seasonings and stuffed into casings before being cooked in the smoker. 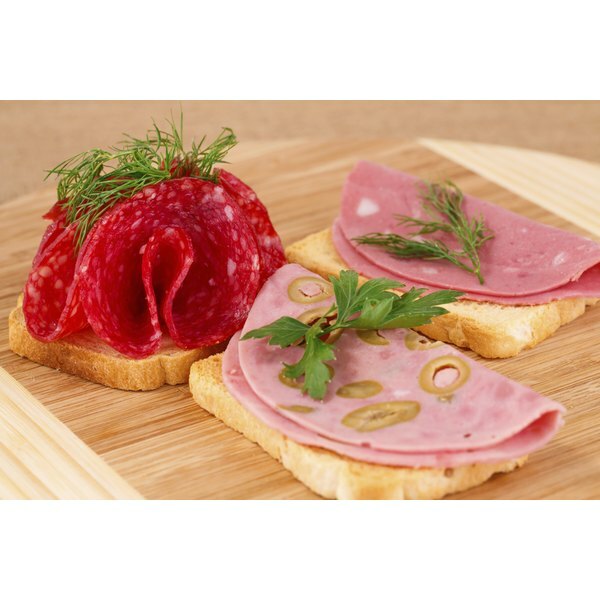 You can enjoy smoked deer bologna on its own or as part of a more extensive recipe. Mix the ground deer meat with the bologna seasoning. Use an electric meat mixer or combine the seasoning with the meat by hand. The ratio of seasoning to deer meat will vary according to the recipe instructions. As a general rule, you can use one packet of seasoning for about 25 lbs. of meat. Add cure to the meat to prevent bacterial growth. You typically add one cure packet to about 25 lbs. of meat. It doesn’t significantly change the flavor of the bologna. Stuff the mixed meat into bologna casings with a grinder or sausage stuffer. Maintain a consistent texture and shape so the bologna smokes evenly. Use natural casings that have a permeable texture so the smoke reaches the middle of the meat. You must soak some natural casings warm water for 30 minutes before stuffing. Soak the wood chips in a 5-gallon bucket of water for about 30 minutes before smoking. A variety of flavors, including hickory, apple or maple, will work well. Soaking the wood chips before smoking prevents the wood from charring and burning too fast. Hang the deer bologna in the smoker. If you don’t have sausage hooks in your smoker, lay the bologna flat on the smoker racks. Place the wood chips in the smoker and set the temperature to 140 degrees Fahrenheit. Avoid opening the smoker door to check on the meat because that allows smoke to escape. Smoke the deer bologna for about eight to 12 hours. Total cooking time will vary based on environmental conditions, actual smoking temperature and thickness of the bologna. Check the temperature of the bologna by inserting a meat thermometer into the middle of it. 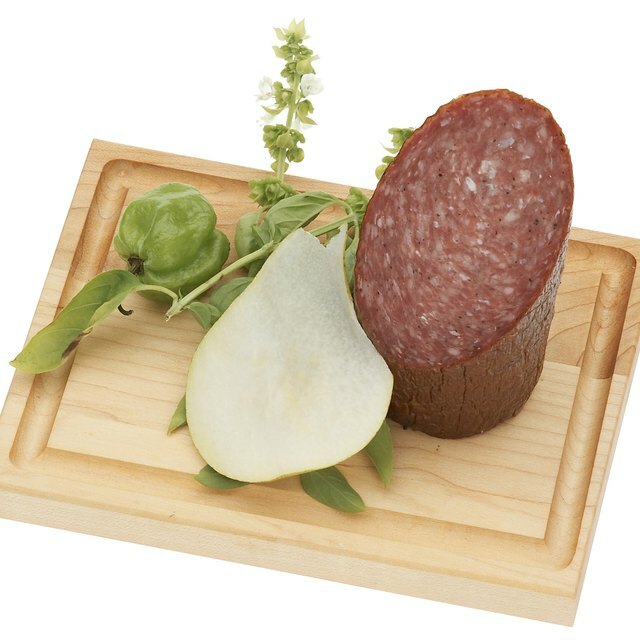 Deer bologna is cooked thoroughly when the internal temperature reaches 165 degrees Fahrenheit. Always keep the meat as cold as possible during the mixing process to prevent bacterial growth or contamination. Eat or freeze the deer bologna within one week.